Description: Causes "theft" status for 3 turns. Reduce 10% hp on every attack and recover to attack target. i just bought the skill, and i tested theft status on a boss but it does no difference. it does not drain hp over time, and it does not drain hp when attacking, there are no numbers that display after the jutsu is in effect. 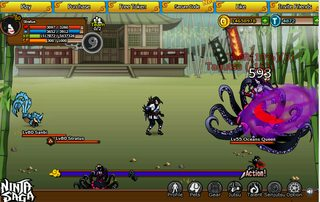 Player HP does not increase, and enemy hp does not decrease from this jutsu at all. is this a bug or does anyone know how this jutsu is really supposed to work? I really wish i could get my tokens back . OK never Mind here is how the jutsu works. 1. If you dodge its not effective. 2. if enemy is stunned/locked the jutsu is wasted. 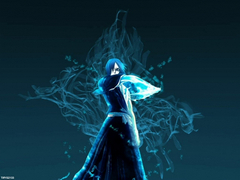 3.if enemy "purify" jutsu its wasted. 4. If enemy uses a buff (stat boost move) the jutsu is wasted. 6. would be much better if jutsu is changed to "active when player attacks target" "Not when target attacks player" you will almost never have a chance to use this because so many pets and Ally Units will always stun the boss at the wrong time. Meaning the jutsu is wasted. over all the jutsu is not bad, but its very situational and needs lower cool down to make up for all the turns it will be wasted. The jutsu is wasted just too easily. Alternatively it can keep the same cool down but change effect to "drain hp when player attacks target" .Or change the jutsu to "effect all targets" . Overall they need to write better description. The wording very confusing. Many people dont want to buy things if the explanation is too murky. yeah its not the best ideal for wind but its still important for players to test new features to help other players. when this forum wwas active, we had many players sharing information and posting guides, and advice. I miss those times. I just couldnt find any videos or guides for this skill , I only bought it because i thought it was "active when attacking enemy" like "blood feed" or "exposed defense" The description was hard to undestand. I guess I should of bought advanced soul impulse instead. dont have money right now, I will wait for when another good hp reduction taijutsu comes back. eonstratus wrote: yeah its not the best ideal for wind but its still important for players to test new features to help other players. when this forum wwas active, we had many players sharing information and posting guides, and advice. I miss those times.